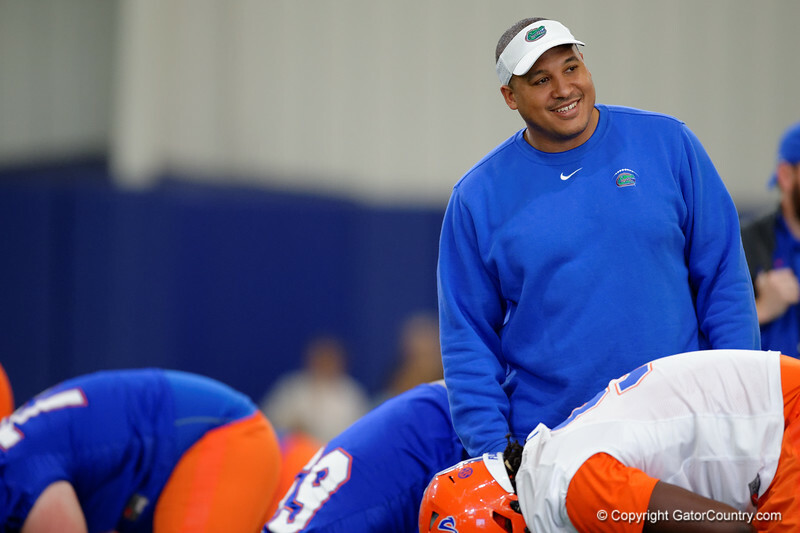 Florida Gators Assistant Coach, Running Backs Coach Ja'Juan Seider as the Gators run through drills during the second week of spring football practice. March 14th, 2017. Gator Country photo by David Bowie.